offers a rich mosaic of cultures and recreational opportunities as well as vibrant arts, business, tech, health, and education sectors. Known as Music City USA, Nashville hosts thousands of concerts each year in every genre and is recognized as one of the top college cities in America. 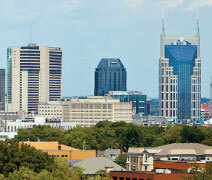 Nashville’s many personalities and striking natural beauty attract people from around the world. Financial Aid: For international students, the admission process is need-aware: the student’s financial circumstances may be considered in the admission decision. For all admitted students, Vanderbilt meets 100% of demonstrated financial need with a combination of grant assistance and a reasonable work expectation; loans are not included in financial aid packages. International students are eligible to apply for all merit scholarships. For detailed admission and financial aid requirements and processes, visit admissions.vanderbilt.edu. 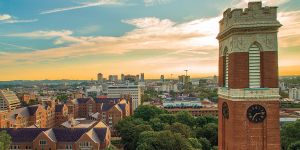 Known for excellent academic programs and an outstanding quality of student life, Vanderbilt is consistently ranked among the top 20 universities in the country by U.S. News & World Report and as an internationally recognized teaching and research university with strong partnershipsacross its four undergraduate schoolsand six graduate schools, neighboring institutions, and the community.Vanderbilt’s undergraduate international population is rising steadily, comprising 8.8% of the undergraduate student body. Vanderbilt students take full advantage of student life by immersingthemselves in over 430 student organizations, a full range of study abroadprograms, Division I athletics, and a variety of research and internship opportunities. Vanderbilt students and faculty believe that great ideas require more than one school of thought. This interdisciplinary approach is foundin the impressive repertoire of interdisciplinary majors, research acrossdisciplines, and the flexibility that students have to explore subject areasacross all four undergraduate schoolswhile delving deeply into at least one major area of study. Vanderbilt faculty are committed to the undergraduate experience, and the University’s 7:1 student-facultyratio gives students easy access to faculty members across academic disciplines. More than 50% of undergraduates participate in research alongside faculty, and a spirit of innovation has helped Vanderbilt earna #10 ranking for “Most Innovative Universities” for two consecutive years (Reuters, 2017 and 2018). New academic initiatives include anundergraduate Business minor andImmersion Vanderbilt, an initiative that calls for each undergraduate topursue an intensive learning experience in and beyond the classroom with choices from four pathways: civic and professional, creative expression, international, and research. Vanderbilt students desire to experience the world and spend time in distant countries studying abroad, participating in internships, and engaging in community service. Morethan 40% of undergraduate studentsstudy abroad in 120+ direct-credit programs in more than 35 countries on six continents. 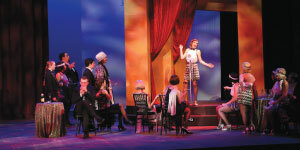 Students choose from year-, semester-, or summer-long study abroad experiences. At Vanderbilt, you are among a very select group of international students who represent 91 countries in our combined undergraduate and graduate student populations. Vanderbilt has long valued having an international presence on campus, enrolling students from China, Mexico, and Germany in its inaugural class. Vanderbilt University welcomesstudents from all over the world, and the University is committed to nurturing a community that is inclusiveand respectful of differences. Today the Vanderbilt InternationalStudent and Scholar Services (ISSS)office serves as an important resource for international students by providing one point of contact for information and assistance with visas, human resource questions, and other issues. In addition, a wide variety of international student organizations help make Vanderbilt a home away from home. Life at Vanderbilt includes rigorous academics combined with deepengagement outside the classroom. We are committed to fostering inquiry, dialogue, and a greater appreciation of the racial, cultural, geographic, and political perspectives that make up the Vanderbiltmosaic. Your first year at Vanderbilt will bea chance to experience life on TheMartha Rivers Ingram Commons. This living/learning community, based on the Oxford-Cambridge model, consists of 10 residence halls, or “houses,” surrounding a main dining and student center. Faculty live on The Ingram Commons, facilitating easy and meaningful interactions between studentsand professors. Frequent educational and social programming at The Ingram Commons invites students andfaculty to explore current events and social issues. Vanderbilt attracts students from across the country and around the world and sits on a 330-acre campus,designated an arboretum. Our active campus life, renowned academics, and urban setting work to maintain a high retention rate, as 97% of first-year students return for sophomore year. Vanderbilt offers students unique and meaningful opportunities within the structure of an academically rigorous institution to discover who they are, who they may become, andhow they might contribute to their communities in the future.